Where there’s a wedding, there’s a wedding card! When your big day is going to be a grand affair, why not make the announcement the same way? Wedding invites can be as quirky as your love story or as elegant as your personality. There’s no end to creativity when it comes to wedding invitations and wedding card designers in Mumbai are going all the way to make the invite extra special. As you announce your union to your loved ones, you can choose to tell your tale through your card or tell them how much you would appreciate their presence on your special day. Whatever you decide, there is no dearth of choice for you. Get prepared to be spoilt for choice for your wedding invites. To help you, we have narrowed down top 5 wedding card designers in Mumbai where you can get your dream wedding invitations created. Blending in the traditional with the modern, Rolex Card Manufacturing Co is a popular choice for wedding cards in Mumbai. The experts have been around for over four decades and seamlessly customize your cards to suit your requirements. 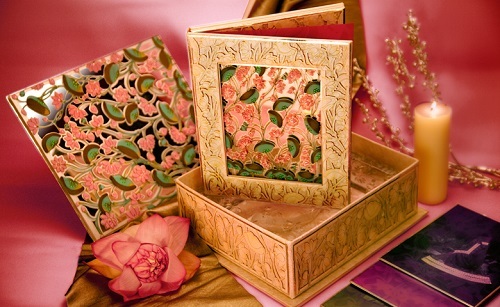 Their expertise and finesse lend an elegant touch to the wedding invites and make it truly a piece of art. Varda, led by Mr. Gopal Shah, is committed to making your wedding invite nothing short of fabulous. 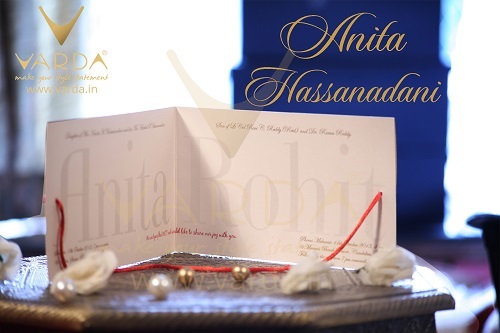 With a decade of experience in the industry, Varda, is truly one of the best choices for wedding cards in Mumbai. They can also customize your invite and make it a unique one which reflects your story. 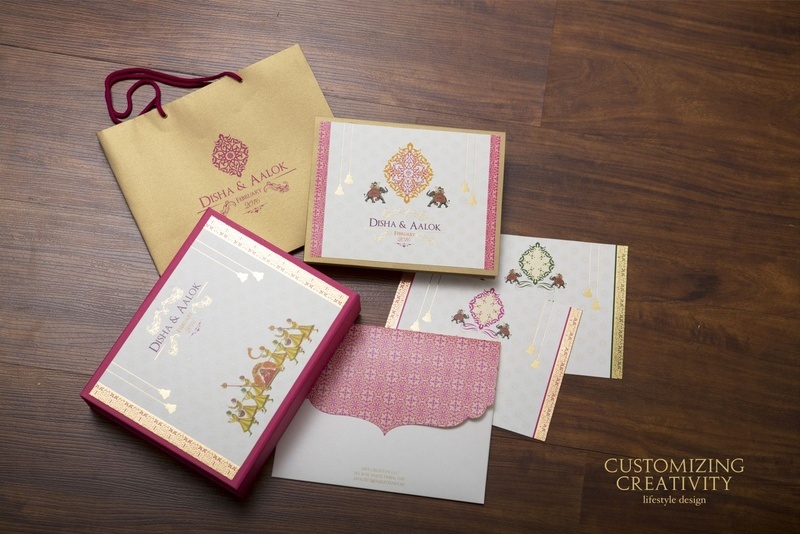 With a clientele of celebrities like Rani Mukerji, BomanIrani, Pamela Chopra and others, Customizing Creativity is surely one of the most sought-after wedding card designers in Mumbai and the industry. They believe in recreating the couple’s story in every aspect of the wedding card and choose colours that remind one of joy, love and hope. 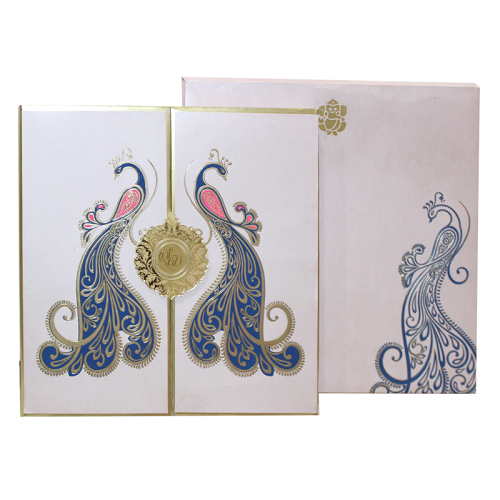 If you are looking for elegant wedding card designer in Mumbai, Mars Arts is your go-to place. They also have their in-house designing studio which can help you customize your wedding invitations. Be it traditional or modern, they have designs for every style and every occasion – from engagements to weddings. If your wedding is a grand affair, Parekh Cards can make sure that your invite is no less. 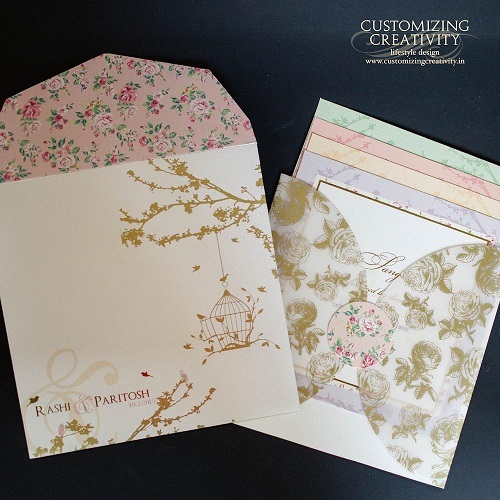 They have an assortment of wedding card designs and will surely spoil you for choice. With their innovation and creative ideas, your wedding invites will surely be a souvenir that you will cherish forever. Should you need a wedding ceremony and program book, gift registry card, RSVP cards, thank you cards, menu cards, personalized gift bags, money envelopes or personalized favour and chocolate boxes, Parekh Cards can assist with that too.